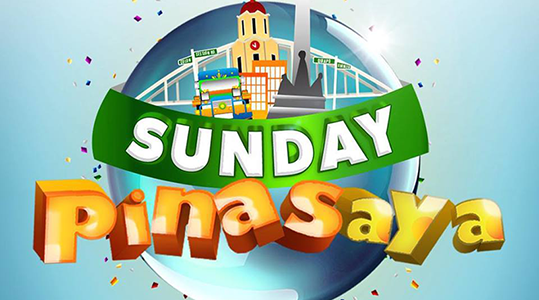 SHOW DESCRIPTION: It is a Philippine Sunday afternoon variety and comedy show broadcast by GMA Network which started on August 9, 2015 starring Marian Rivera, Ai Ai de las Alas, Jose Manalo and Wally Bayola. Accompanying them are Barbie Forteza, Julie Anne San Jose, Alden Richards, Joey Paras, Jerald Napoles, and Valeen Montenegro. It replaced Sunday All Stars on the network’s Sunday noontime block, and is also aired worldwide via GMA Pinoy TV. The program is the first Sunday afternoon variety show on the network to be produced as a blocktimer, rather than by GMA Network which produced the program’s predecessors GMA Supershow, SOP, Party Pilipinas and Sunday All Stars. It is produced by APT Entertainment, the sister company of TAPE Inc., who is behind the longest running variety show in Philippine television, Eat Bulaga!